Love and Life at Leadora: A Soccer Superstar! 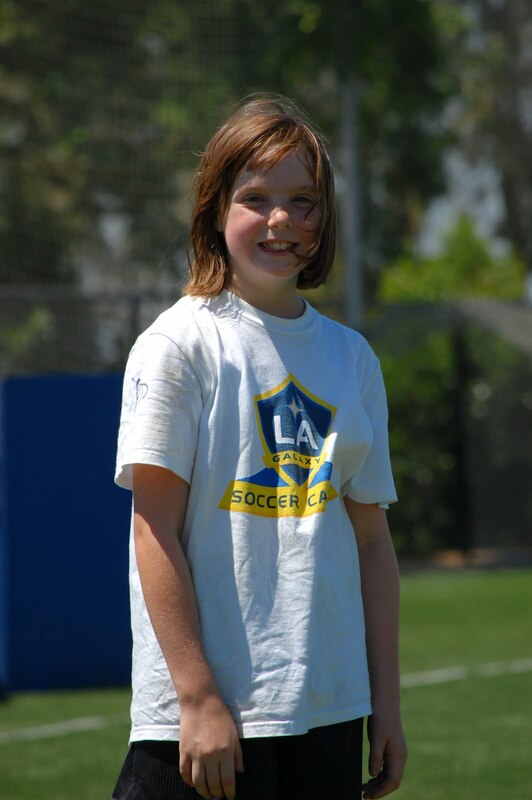 Today was Willow's last day at the LA Galaxy soccer camp. She had a wonderful time. 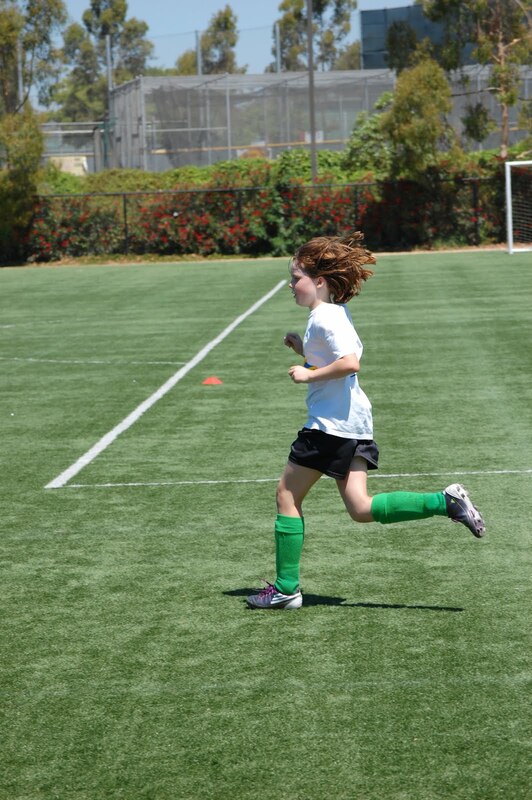 Out of all of us, she is the most athletic and soccer is a great sport for her. 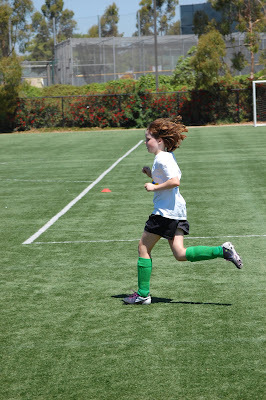 My youngest daughter has a lot of energy, and running on the soccer field still doesn't tire her out! Not only did Willow get to practice and learn soccer skills, she got to meet one of our favorite Los Angeles Galaxy players. If you look closely at her right sleeve, you may see Donovan Ricketts' autograph. He is the 6'4" goalkeeper for the Los Angeles Galaxy team. It was such an exciting experience for her, and she can hardly wait to go back again. I wanted to stop by and thank you for leaving a comment. I am so in love with your house...and a bit jealous lol Your daughters are just lovely. I look forward to reading more. My grandson started soccer yesterday. He said he didn't want to sweat. I hope he changes his mind.